I don’t think anyone understands the mechanics of wind drift. 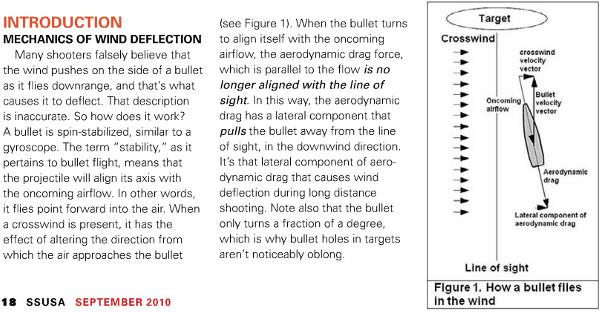 If it were as described(pulling like an airplane wing)then there would be no association with lag time, faster bullets would drift more than slower bullets, and no ballistic software in existence could predict wind drift. This, because you would get into the infinite possible wing shapes per aspect of flight. 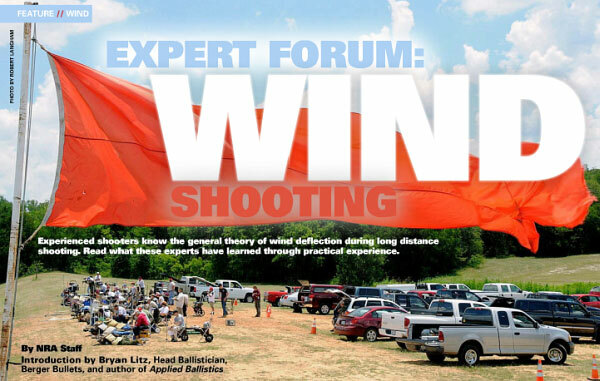 We really do need an exploration/discussion of wind drift that concludes with passing tests. I agree with mike. I put this theory in the same category as global warming. Bad science if you ask me. I don’t have to fully understand it , to know that it exists . Lots of people still don’t think coralis effect exists , either . The trick is to learn how to adjust for it , to be able to shoot through it . Simple ,right ? I don’t think that the bullet weather-vanes. The spin will resist this but a precession will result. There are utube videos that show the effect of a side force on a spinning wheel.